Mysecurestabs.net used to be one of the most popular stores on the internet, mainly because it would give customers the opportunity to try the meds before actual purchasing (doing a free trial). This Indian company was in business since 2007 and had over 50,000 customers. My Secure Tabs was a provider of a wide range of medicines, including generics to treat erectile dysfunction, depression, and skin problems. The store guaranteed all purchases would be delivered on time. Payments were made via credit card and the store accepted different currencies like EUR, GBP, and USD, which was very convenient for different customers. My Secure Tabs promised to give your money back if something happened to your meds, a policy that attracted many customers worldwide. The medicines were manufactured in India by Cipla Ltd., an FDA-approved manufacturer. Clients did not require a valid prescription to order their meds, but the store highly recommended attaching such document to every order. I believe India does not require a prescription for these meds, thus the company does not require customers to present this document. According to My Secure Tabs, it would make it easier to get customs’ approval. The meds could be delivered either via express mail or regular airmail, taking between 5 to 15 days to arrive, depending on the chosen shipping method. My Secure Tabs had several loyal customers all across the world, not only for its incredible service but as well as for its affordable prices and extra discounts. In many cases, this online pharmacy could be considered to be one of the cheapest e-pharmacies. Customers were able to contact the store via live chat, e-mail or phone. I believe My Secure Tabs had a great customer service, but can’t try services from unavailable pharmacies. Reviews are the number one factor that helps us ponder to buy from a certain drugstore or not. My Secure Tabs had a tremendous number of reviews online. In fact, the store had over 600 reviews online, and an average rating of 4.7 out of 5. The reviews are extremely positive, saying that My Secure Tabs was a reliable and honest e-pharmacy. Stephen mentions he just placed his second order with the pharmacy. The customer explains that his first order “lasted nearly 2 years” and the product had “an excellent shelf life”. He does warn future customers regarding using 100 mg Viagra since it is a very “powerful dose”. Stephen was particularly happy about the fact that My Secure Tabs always send more pills. Indeed, the only drawback some clients mentioned was the fact that some orders simply didn’t arrive in European customers, as they were stopped and returned to the sender once it reached the European border. However, customers also explain that when this happened, My Secure Tabs would give a full refund, thus no one would get ripped off. To be fair, this is a problem that many online pharmacies have to face since the European border is very severe when it comes to importing meds. My Secure Tabs performed amazingly well in analyzing tools. Scam Adviser considered the website to be safe, giving it a 78% trust score, a much higher trust score than other online drugstores usually have. Mysecuretabs.net was fully recommended to buy from, and consumers would not have any risk in doing so. However, the store wasn’t performing very well lately. It seems like the website stopped having lots of visitors without any plausible reason. On the other hand, Scamner believed buying in this store was not recommended, giving it the lowest possible trust score. One of the reasons, like in many other e-pharmacies, was regarding the lack of an SSL Certificate. Moreover, Scamner believes that My Secure Tabs was a young domain, explaining the lack of trust on this store. Additionally, Scamner found that My Secure Tabs was hosted in Barbados, but the majority of its traffic was coming from the United States. My Secure Tabs offered a wide range of discounts to its clients. Besides their free pills with each order, the company also provided a 15% discount and free shipping for returning customers. Clients who recommended this website to a friend also enjoyed an extra discount. Moreover, if a client ordered more than 500 pills, they would get a special price for bulk orders, including extra 30 pills as a bonus. The amazing discounts offered by My Secure Tabs were one of the many reasons why consumers enjoyed purchasing in My Secure Tabs. Mysecuretabs.net was just a fantastic pharmacy, starting from its service, all the way through its popularity and extra discounts. The store seemed to have it all. My Secure Tabs was, indeed, one of the most popular stores and, sadly, it disappeared. With over 600 positive reviews concerning mysecuretabs.net, I believe I don’t have much to add. The products were effective and long-lasting, thus I see no reason why I wouldn’t purchase my meds in My Secure Tabs. Moreover, previous clients even warned us about how potent the dosages are. Isn’t that amazing?! 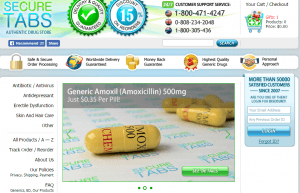 My Secure Tabs offered only FDA approved drugs, money back guarantee, and free shipping. This means we could all purchase the meds we need at the convenience of sitting in our home. I wish more e-pharmacies like this one would come around. Additionally, we would always get free pills with our order and amazing discounts when returning. In conclusion, Mysecuretabs.net seemed to be a fantastic and reliable store to purchase meds free of risk. The store deserves a maximum rate of 5 out of 5.